Some company information will have been filled in when you signed up for Current RMS, but it’s worth reviewing this and adding more information in System Setup. 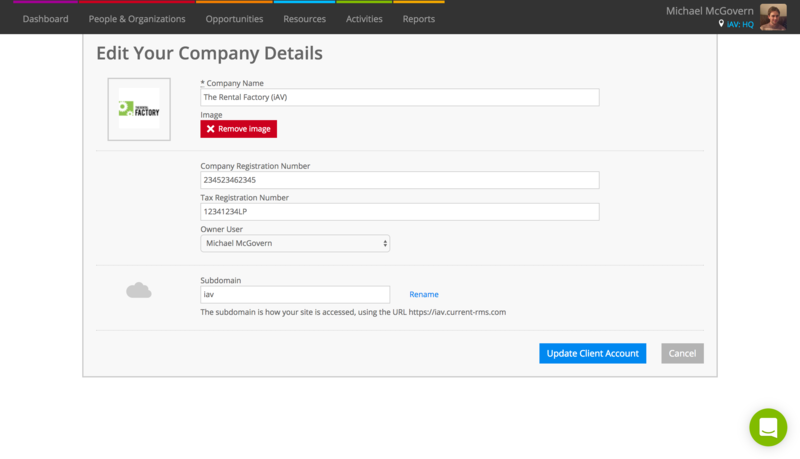 Go to System Setup > Company Information to add your company logo, registration number, and tax number. The logo you choose here is pulled through to documents. Head to System Setup > Billing information to set your company address. Store addresses are used on most document layouts, but the company address is used on some layouts like barcodes. Stores are great if you hold stock in multiple locations, for example a warehouse in New York and a warehouse in California. To add your locations, go to System Setup > Stores. Even if you only operate out of one location, you’ll want to review your settings here because it’s where you set a telephone, email address, and address. The contact information you enter here appears on the top of most opportunity documents generated by Current.